At Longe Last - Tom DeLonge's Dramatic UFO Announcement!! Thank you all for waiting for an announcement that is literally 2 years in the making. I have assembled a team of insiders that I believe can possibly change the world. All are current consultants to the US Gov on National Security Matters, and some literally left days ago from the Department if Defense to join me in this initiative. Fmr. High Ranking Government Officials and Senior Intelligence Officers from CIA, DOD, and also a Chief Engineer (Director of Advanced Programs) from Lockheed Martin’s the Skunk Works have come together aiming to BUILD A REVOLUTIONARY TECHNOLOGY for the world, research the unknown and finally tell the “story of the millennia” through Feature Films. NO ONE GOVERNMENT, INDIVIDUAL OR INSTITUTION should own what can truthfully help the world. We all can own it together. To The Stars Academy of Arts and Science is allowing a group of those who are interested to join us on day one. In other words, DeLonge is not announcing anything about UFOs. Instead, he has announced the formation of his new corporation to look into UFOs, and he wants you to fund it. What a truly breathtaking announcement! Here is your chance to give money to the very wealthy Tom DeLonge! Don't miss this opportunity of a lifetime!!! UFO author Leslie Kean thinks that DeLonge's announcement is so exciting. "Inside Knowledge About Unidentified Aerial Phenomena Could Lead To World-Changing Technology," she wrote in the Huffington Post. Is the presence of "government insiders" in a UFO organization unprecedented? Does it promise significant informational breakthroughs? Most UFOlogists today may not aware that back in the 1950s and 60s, NICAP had several former high-ranking CIA officials in its leadership. In 1957, Roscoe Hillenkoetter, the first Director of Central Intelligence (1947-1950) became a member of the board of NICAP. Also in 1957, Colonel Joseph Bryan III, the founder and head of the Psychological Warfare Staff at the CIA, became member of the NICAP board. Several other former CIA officials also became affiliated with NICAP. Nonetheless, despite all these government insiders, NICAP never obtained or revealed any supposed UFO secrets held by the government. Nor is this the first time that those with a background in science and technology have been brought together in a UFO research organization. In 1973 with much fanfare, former Air Force Blue Book consultant Dr. J. Allen Hynek announced the formation of the Center for UFO Studies. 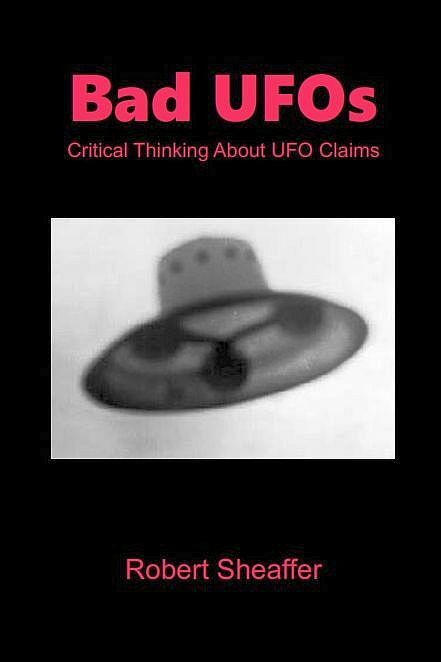 Despite the participation of numerous scientists who were previously part of Hynek's "invisible college," CUFOS ultimately changed nothing in the UFO controversy. What is unprecedented here is the stated intention to mix UFO "research" with cinema and other forms of entertainment. It is impossible to predict how successful this will be - obviously some UFO and Sci-Fi entertainment has been extremely successful. Just ask Steven Speilberg or George Lucas. But just producing a space or UFO related movie does not in any way guarantee success. Just ask the investors in the independent Sci-Fi film Valerian and the City of a Thousand Planets. Now that Harvey Weinstein has a lot of free time, perhaps he can give some good advice to To The Stars' entertainment division. In the absence of major Hollywood directorial and production talent, their odds do not look good. 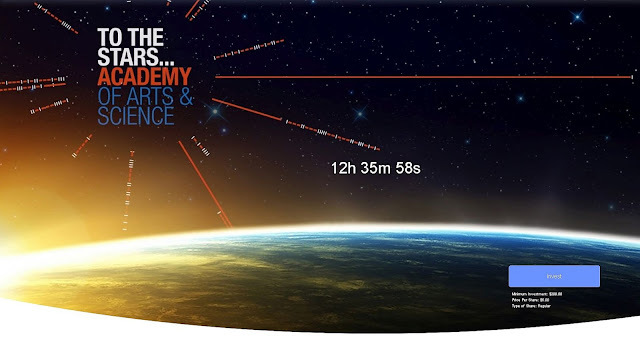 For your convenience, DeLonge's website includes a handy button for you to "invest". energy and propulsion concepts for spaceflight, as well as new technologies for space communications. The U.S. Securities and Exchange Commission carefully regulates all proposed stock offerings, and requires that risks to investors be clearly disclosed. To fail to do this is to invite future lawsuits from investors who might suffer losses. I would have to say that To The Stars, Inc. has done a very thorough job of disclosing "risks." If anyone thinks after reading this stock offering (and after watching the video below, in which DeLonge talks about the "pyramids and stuff on Mars"), that To The Stars represents a good investment, I have a bridge for sale I'd like to tell you about.